Anise hyssop is a member of the mint family native to North America and produces brilliant purple blooms during the summer that are visited by the bees and butterflies around the farm. The leaf and flower are both used medicinally and for cooking and have a strong licorice flavor. Medicinally, anise hyssop has antibacterial and anti-inflammatory properties and is used to aid congestion, fevers and digestion. It is soothing, expectorating and has cough suppressant qualities. Used in combination with licorice it is particularly effective for lung conditions like bronchitis and respiratory tract infections. As a poultice, it is used to treat burns and aid in wound healing. An infusion is used as a wash for poison ivy to reduce itching. Dry the leaves and flowers and use as a delicious, mildly sedating tea (1 tsp dried herb in 1 cup boiling water) or add to a tea blend. The leaves and flowers are edible and may be baked into breads or added to salads. A tea made from the fresh leaf and flowers is delicious as well, especially if you like the licorice flavor. To keep your herbs fresh for a week, keep the stems immersed in a jar of water on your counter. Use this recipe when you’d like a sweet and sour herb sauce for roast lamb, grain salads or grilled vegetables. Combine 3 tablespoons sugar, 6 tablespoons apple cider vinegar and 1/2 cup water in a small pot and bring to a boil. 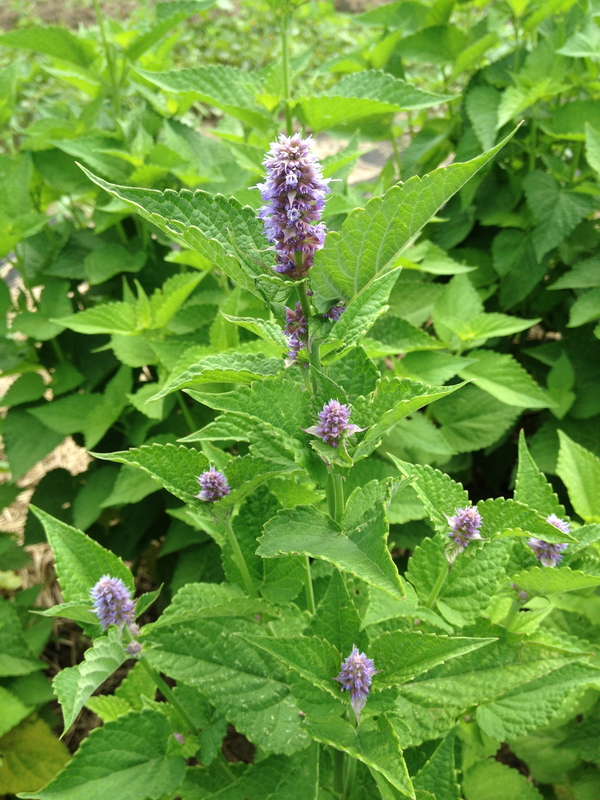 Add 1/2 cup anise hyssop leaves or flowers, coarsely chopped and return mixture to a boil. Turn off the heat and allow the mixture to steep for 30 minutes. Pour through a sieve, pressing the leaves to squeeze out all the liquid. Combine 2 teaspoons of cornstarch and 2 tablespoons of water in a small bowl. Whisk into the anise hyssop liquid and bring to a boil while whisking to thicken the sauce. Here’s a recipe for Fancy Watermelon with Chevre and Anise Hyssop from the Washington Post.